Is your lawn due for a makeover? Perhaps your grass isn’t as green as it once was. Or each year brings more weeds and diseases than the last. Just as a tired kitchen or bathroom can sometimes use a total remodel, your lawn may also need a fresh start. If your lawn is patchy, weedy, and unsightly, it might be time to completely “remodel” it with farm fresh sod. You will have a new, uniform looking lawn in a matter of days. 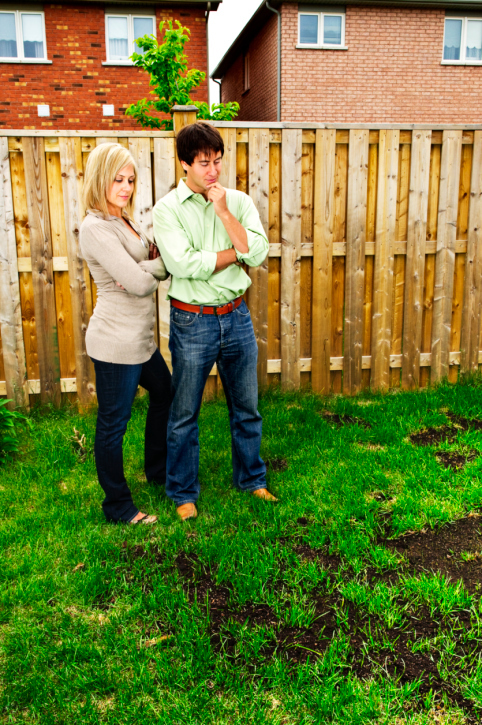 Here are three signs that it’s time to renovate your lawn. You have five different grass varieties, each with a slightly different color and blade width. Your lawn sort of resembles your grandmother’s favorite patchwork quilt. Your lawn is 50 percent weeds. True, they are green. But do you really want a field of dandelions in your yard? Your lawn is damaged by pests, drought or diseases. Instead of investing in more chemicals, upgrade to newer turf varieties that are more drought-, disease- and insect-resistant. As those home remodeling TV shows demonstrate, there eventually comes a time when patching and painting isn’t enough. To get the lawn of your dreams, you may need a fresh start. That means clearing it out, re-establishing your soil and bringing in a healthy, consistent turf. With a little planning, you can install a new lawn yourself, or hire a professional installer to do it for you. Sod is available for home delivery right to your door, simplifying the process and allowing you to enjoy your new lawn sooner. Apply a grass and weed killer to the area two weeks before re-sodding. Apply a grass and weed killer to the area two weeks before re-sodding. Prepare the soil for your new turf. Head to your local lawn and garden center to select the right Harmony Turf. Harmony Home is developed for all-around use; Harmony Play is created for active, outdoor living; and Harmony Shade is for areas that get less sun. Begin enjoying your beautiful new lawn. Restoring your lawn improves both your home value as well as your home enjoyment. Healthy lawns make for less maintenance and more play time. An estimated 10 to 15 percent of a home’s value is in its landscaping and curb appeal. Installing a new lush, green lawn could help you get top dollar if you are considering selling your home. Is adding topsoil necessary when installing a new lawn?